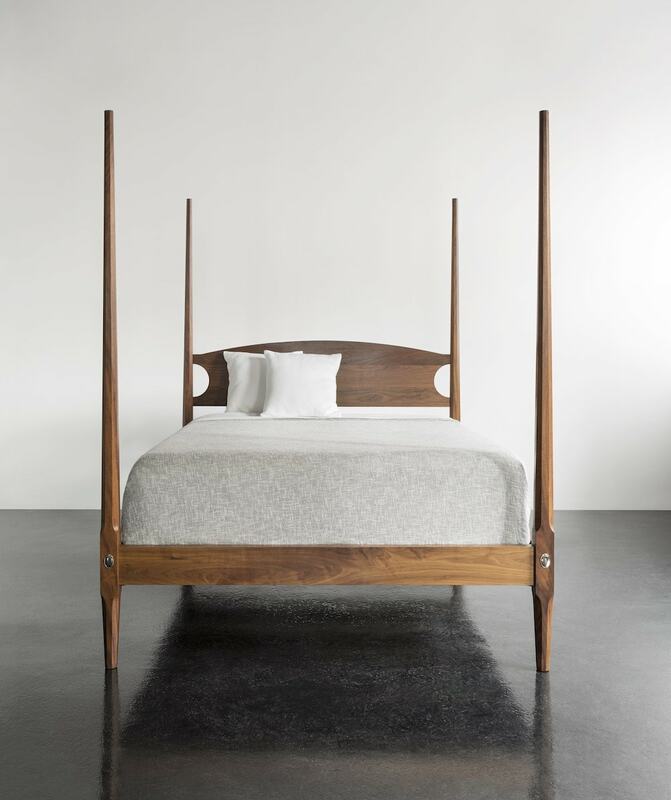 The Pencil Post Bed is a classic design that has been interpreted with the style, simplicity and attention to detail that are hallmarks of Moser craftsmanship. 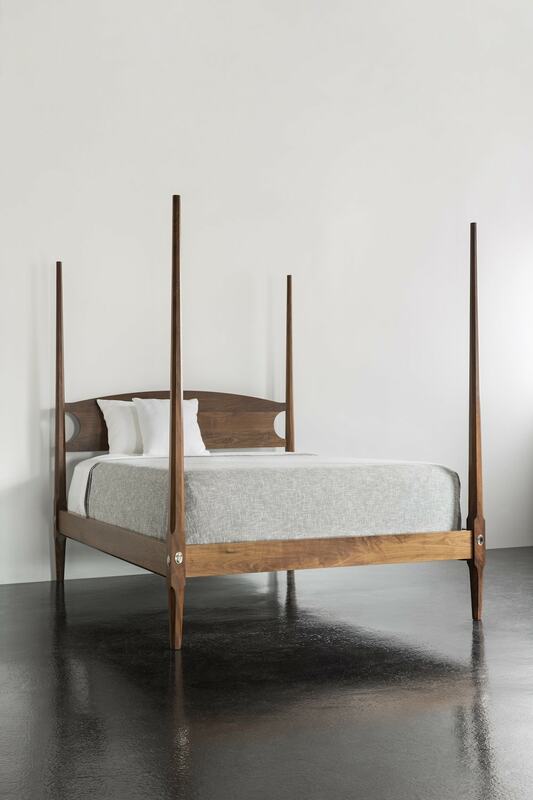 Crafted after the simple design of the modular English Field Bed made popular by British officers who transported the beds via camel to remote colonial outposts, our Pencil Post Bed is an exercise in minimalism. With four slender, octagonal posts designed to support a canopy and mosquito netting, these beds are available with simple, unadorned posts – but can be modified to include a canopy. Like its colonial British inspiration, our Pencil Post Bed’s four posts are its most prominent design feature. Each of post is crafted from a single piece of 3″ x 3″ wood which rises to seven feet in length. To obtain clear material for each post, we turn to our long-established relationships with top-quality mills, relying on their ability to provide clear, unblemished North American hardwood. Each post is then crafted in our workshop to form a tapered octagonal rise – resulting in a strikingly elegant profile that looks beautiful either with or without finials and a canopy. The headboard of the Pencil Post Bed provides additional support for its rear posts and is hand-joined at four points. Shaped from solid wood, it arcs at the crest and offers two concave cuts at either side for visual interest – without compromising strength. 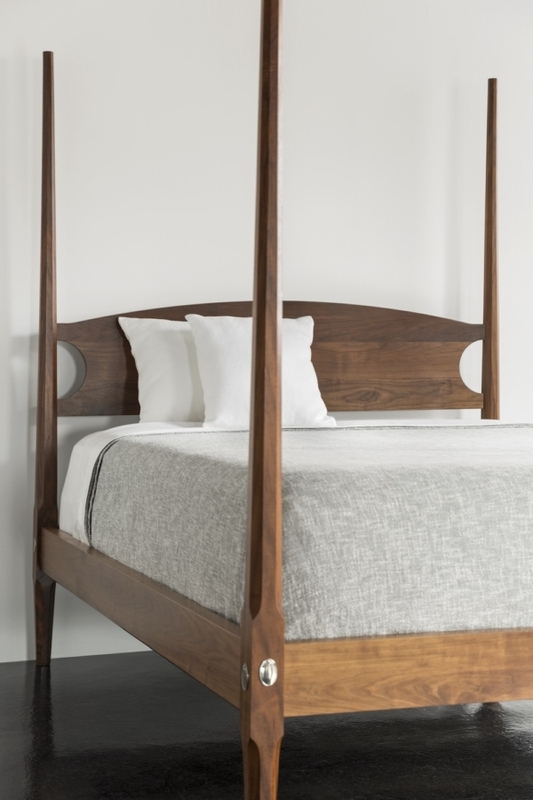 The frame of the bed involves four long cherry or walnut planks, through bolted with polished brass bolts to the posts to ensure a long, stable life. The frame is hand-finished and contrasts beautifully with bedding. Although not associated with a collection, the Pencil Post Bed adds a striking visual complement to any bedroom and matches well with most contemporary and traditional furnishings. This bed is designed to accommodate 16” – 18” mattress and box spring combinations. For platform bed options, please select the “Customize This Piece” option.